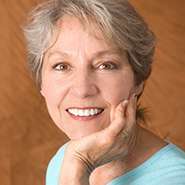 When it comes to straightening teeth, many patients still think that traditional bracket and wire braces are their only option. This means many patients avoid getting the orthodontic care they need to look and feel their best. Luckily, the Bell Dental team offers Louisville dentistry patients a cosmetic alternative to traditional orthodontics – Invisalign clear braces. To ensure your smile stays whole, healthy, and functional for life, our team will create a custom Invisalign orthodontic plan. If you’re ready to get started, give our Louisville dental office a call to schedule your orthodontic consultation today. 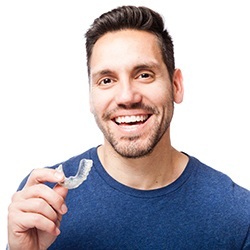 If you’re trying to decide between treatment with Invisalign clear braces and traditional bracket and wire braces, it’s important to take the time to visit with our team to discuss the advantages and disadvantages of both options. 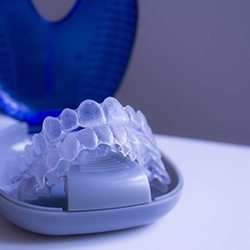 In the past, Invisalign couldn’t treat more advanced alignment issues, but today, we can correct even those advanced concerns like over, under, and crossbite. 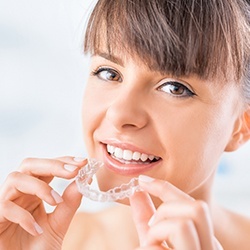 Invisalign does usually cost slightly more than traditional braces, but dental insurance plans now typically provide the same coverage for alignment tray orthodontics that they do for traditional braces. 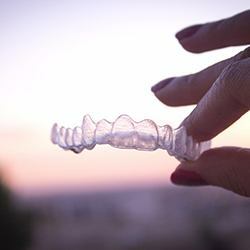 Invisalign uses a series of clear, plastic alignment trays to gently shift teeth into their ideal alignment over the course of eight to eighteen months. Each aligner represents the alignment of your teeth one step closer to your desired end result. You’ll wear the aligners for about two weeks at a time. Then, exchange the current set of aligner trays for the next set in the series. You’ll visit our office every six to eight weeks for short checkups. 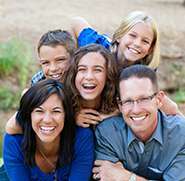 We examine your smile to ensure teeth are moving according to plan. This allows us to make changes when necessary to keep your treatment plan on track. Traditional braces can irritate soft tissue, especially for those patients with sensitivities or allergies to metal. 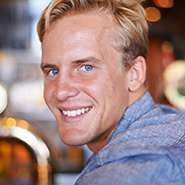 Invisalign alignment trays are smooth and free from metals, so patients experience significantly less pain or discomfort throughout the course of treatment. For the busy patient, Invisalign is ideal. There are fewer, shorter checkups throughout the course of your Invisalign plan, so you won’t have to worry about keeping up with frequent trips to the orthodontist. You’ll also complete your treatment in less time overall. Unlike traditional braces, Invisalign treatment minimizes the hassle of orthodontic treatments. You can eat all of your favorite foods, and you will be able to brush and floss teeth as usual throughout the course of dental care.